Polycoccum ochvarianum, sp. 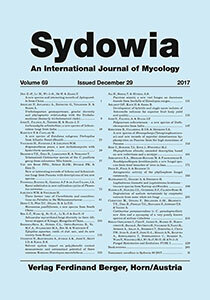 nov., a lichenicolous fungus growing on the thallus of Ochrolechia, Pertusaria and Varicellaria species is described as new to science from India. The species is mainly distinct by its ascospore size and host selection. Additionally, four species of lichenicolous fungi growing on Pertusaria are reported as new to India. Keywords: ascomycetes, commensalistic, lichenicolous, taxonomy.